Greg Frewin Theatre, 5781 Ellen Avenue , Niagara Falls, Ontario, Canada. 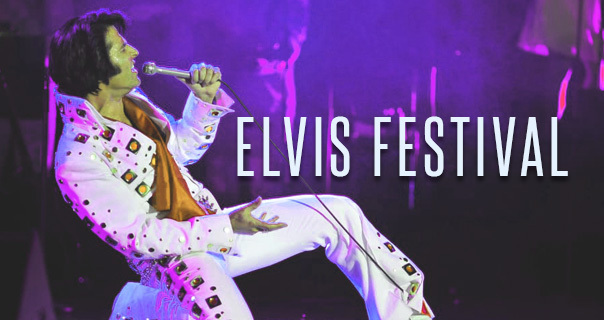 For the third year in a row, The Greg Frewin Theatre proudly presents the Niagara Falls Elvis Festival - Friday April 26th through Sunday April 28th, 2019. Canada is the only country outside of the US where Elvis performed on stage. To celebrate Elvis and his connection to Canada, the Niagara Falls Elvis Festival is a three-day festival of entertainment and competition. For the third time, Niagara Falls will host an official Elvis event sanctioned by Elvis Presley Enterprises, Inc. | Graceland. Niagara Falls Elvis Festival is a joint venture between ARB Productions & the Greg Frewin Theatre. If you love the King of Rock & Roll, then you'll want to be a part of this ultimate inaugural Elvis tribute experience. Welcome to enjoy the Third Niagara Falls Elvis Festival. Individual Tickets for each Show & Event.